This section currently Under Construction – please call back later. 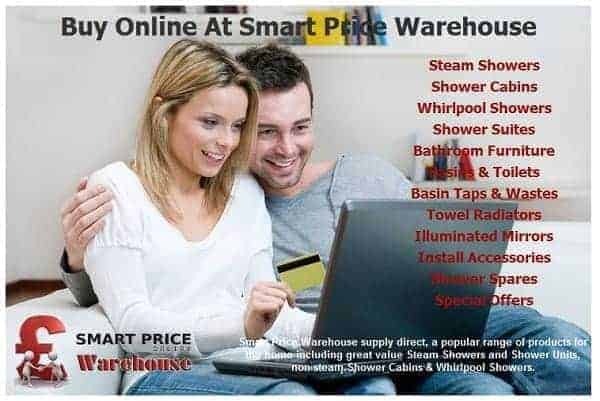 Smart Price Warehouse sell Steam Shower Cabins, Shower Pods, Whirlpool Bath Steam Showers and many other great items for the home. Their steam shower models come in many designs and styles and are offered at truly great value prices too. Often, buying just the odd shower door wheel or replacing a thermostatic cartridge, is all that’s needed to provide longer life to your existing steam shower cabin.